Ice cream pies are the perfect dessert for any summer meal. They are super simple to make, easy to serve, and fun to eat. Try substituting different fruit juice concentrates in this delicious, super easy three ingredient recipe. 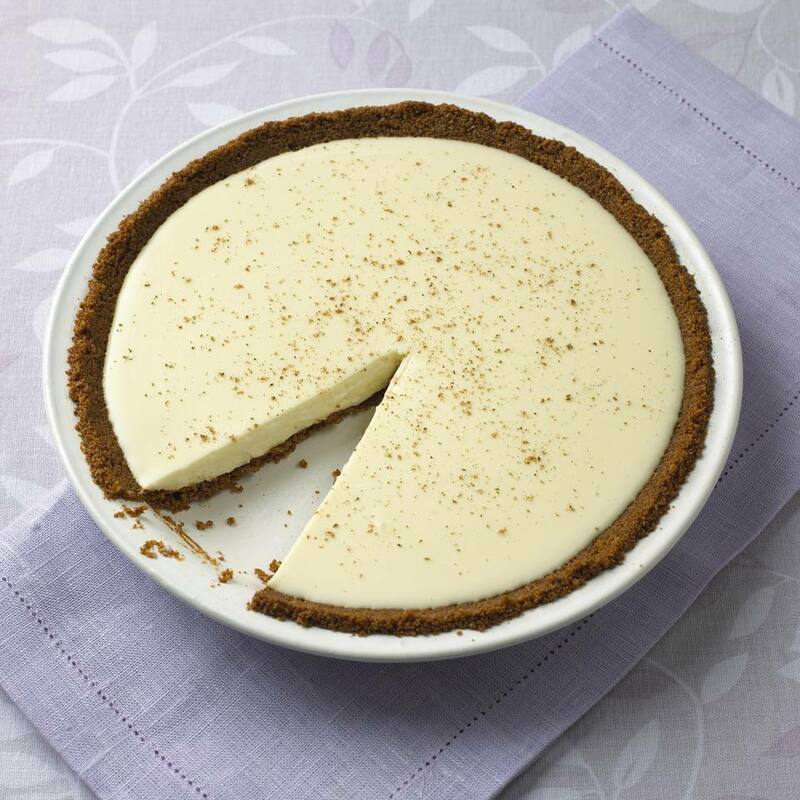 I like putting the lemony ice cream mixture into a chocolate or gingersnap cookie crust for a nice flavor contrast. You could also make this recipe into little tartlets by spooning the ice cream mixture into small tartlet shells. If you don't like crumb crusts, make a pastry crust, bake it, let it cool completely, then fill with the ice cream mixture. This recipe can also be changed by adding more ingredients. Some finely chopped dark or white chocolate would be delicious. Add chopped fresh or frozen fruit, or top the pie with whipped cream or, for a flavor contrast, some hot fudge sauce. Use your imagination and enjoy making tons of ice cream pies all summer long. If you're making your own graham cracker crust, make it in a nine-inch pan. If you're buying a crust, buy the 9-ounce size that is labeled "two extra servings". Otherwise, there will be too much filling for the crust. In a medium bowl, mix the ice cream and lemonade concentrate with a hand mixer until blended. Immediately spoon the ice cream mixture into the graham cracker crust. Freeze at least four hours until firm. Let stand at room temperature for 10 minutes before cutting to make serving easier.